Are you out looking for a new pillow again? We feel your pain. Finding the perfect one could be the most satisfying feeling but getting there is truly challenging. After all, there is a tremendous abundance and going through this vast majority is overwhelming even for people who are aware of what they look for. If you’re not, however, you’re in for one long hunt, so to speak. That’s why we are here for – we want to extend a helping hand by reviewing one of the popular choices on the market right now – the Nest Easy Breather Pillow. Let’s have a look and see if that’s something you’d like. Want more options? Here are our top rated pillows for 2019. Are looking for a solution made of memory foam – The best thing is that you’d be able to mold it according to your own preferences. Are looking for a pillow that tolerates adjustments – this is a solution that you can fully modulate. You have the chance to unzip your pillow and get rid of as much stuffing as you’d like to. This is definitely a benefit worth taking into account, especially if you struggle to identify a solution that hits the sweet spot in terms of support. Are looking for a softer pillow – the materials used in this model are TENCEL and memory foam. In other words – it’s a soft one. This doesn’t mean that the support is jeopardized, though. Are allergic to latex – if you are looking for an Easy Breather, but you are unfortunate enough to be allergic to latex, this is the pillow that you should use as a convenient alternative. You don’t want to spend a lot – the pillow isn’t exactly cheap. It’s definitely on the rather expensive side. You are not a fan of off-gassing – unfortunately, this is a problem that almost all products which contain memory foam face. The off-gassing smell is unpleasant but, in their defense – it goes away within the first 24 hours. You are looking for a machine-washable solution – even though we don’t recommend washing it in the washer, a lot of people would prefer it. Well, this one doesn’t tolerate it at all. Now, once we’ve identified the formalities, let’s dig a little bit deeper and find out the specifications of the pillow. Why is it special? This model is made of memory foam. That’s the fill. This is the alternative to their other solution which is filled with latex. The memory foam is specifically intended to deliver a latex-like coolness but with enhanced molding and contouring capabilities. Of course, the response time is naturally slower, but that’s something you are probably expecting anyways. There is a zipper at one of the ends of the cover. This would allow you to unzip it and get rid of as much memory foam as you want to achieve the perfect level. When you’re looking for a pillow, one of the things that you should consider are the materials used in it. We don’t mean their capabilities and performance abilities – we mean their safety. You should make sure that there are no chemicals or lead in the product as, after all, you rest your head on it every single night. You can rest assured that the Nest Easy Breather, regardless of material you choose, doesn’t contain a trace of harmful materials. As we mentioned above, the pillow combines memory foam with TENCEL, and it’s the cover where the latter material is used. This is a plant-based soft fabric which is particularly sensible and rather delicate. 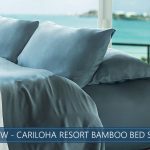 There is a ribbon which runs along the overall perimeter of the pillow and, we have to say, it does add a nice finishing touch to the entire product. The cover comes with a very durable zipper which eliminates one of the most annoying problems in low-cost solutions – faulty zippers. It is very durable and reliable, and it’s something that you ought to take into account. The feel is impressive. Do you know why? Because it’s you who is capable of customizing it. With the ability to remove and add memory foam as per your convenience, you can modulate the pillow to the perfect sleeping solution. Now, it is also important to note that there is a slight difference in the feel brought by the latex pillow and the one made of memory foam. The latter is far more adaptive to the contours of your head and neck, but it is less responsive. It’s a trade-off. It’s obvious that your sleeping preferences are going to determine the overall feel that you are looking forward to. They, however, might change from time to time. This is why you would certainly appreciate the fact that this pillow offers the chance to adjust the overall feel as per your requirements. It is a cool pillow – in all senses of the word. Let us elaborate. Regardless of the fact that it’s made of memory foam, the standard Easy Breather sleeps rather cool. This is thanks to the delicate, plant-based TENCEL cover material. It manages to conveniently dissipate the heat from the surface of the pillow, making sure that you don’t have to suffer through the night. Remember how you were always flipping your cheap and old pillow through the middle of the night in an attempt to get a temporary coolness during the hot summer night? Well, with the Easy Breather, as the name suggests, you wouldn’t have to worry about it. It promotes proper airflow, which enables it to stay cool and to prevent heat retention. If you pack it with a nice, silk or cashmere pillowcase, you’d be experiencing no issues whatsoever. This model is expensive. While there are more pricey options on the market, we can’t say that this is an affordable option as it costs a lot more than what you’d pay for a regular model. But this is far from being your regular pillow as well. In the sleeping market, you get what you pay for, and this is reflected across the board. The pillow is going to arrive compressed in a box. While this will keep the spending on shipping in check, it is also going to require you to allow it some time to decompress properly. Furthermore, there might be a slight off-gassing smell. Even though this is something that we don’t find troublesome, it’s important to note it out as some people pay close attention to it. In any case, allow it a few hours in an aerated space, and you can rest assured that there will be no smell at all. Another impressive thing is the fact that it’s made in the US entirely. This means that it abides by stringent quality control protocols, ensuring that all of the materials are of the highest quality and that there are no shortcomings in this regard. The Easy Breather is a pillow that we’d recommend. The standard version is slightly less expensive, and it’s a great choice for those of you who look forward to the traditional memory foam experience. It is also a great solution for people who are looking for a luxurious option but are allergic to latex. The major concern is always related to the heat, but the company has managed to handle it very conveniently. 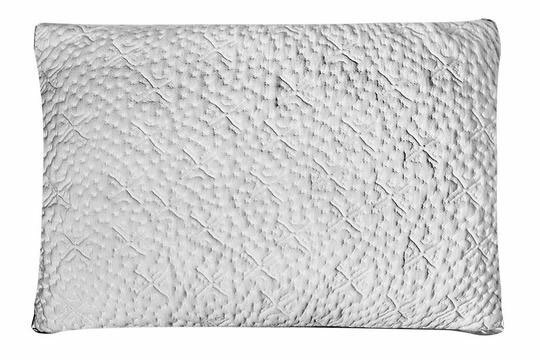 Even though it’s mainly comprised of memory foam, this is a pillow which is going to sleep you as cool as any other latex-based one on the market. Of course, these are our observations and conclusions. 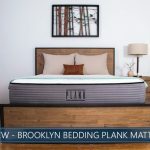 If you are looking for a great memory foam solution and you are willing to pay the extra bucks for high-end quality, this is a great choice. How Often Should You Change (and Clean) Your Pillows?